A Cake Bakes in Brooklyn: You Hoo, Mrs. Goldberg. 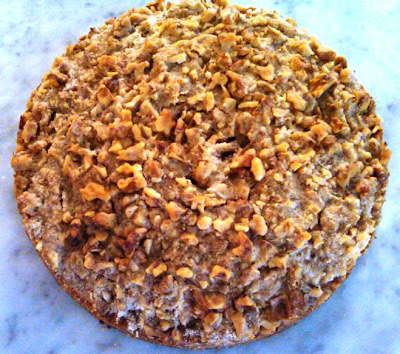 Want Some Coffee Cake? Not that I'm obsessive, but I've spent every spare moment in the past few weeks watching reruns of a television show that aired from 1949 to 1956. The Goldbergs, starring Gertrude Berg (who also developed, directed and wrote the show), takes the viewer into the Bronx apartment of Molly and Jake Goldberg and their two teenagers. 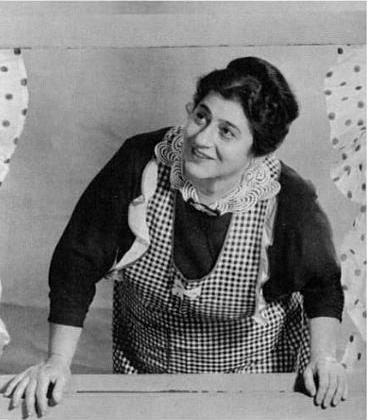 I'm transfixed by nearly everything in this show about Jewish tenement life, from Molly's charming Yiddish accent and malapropisms to the Eastern European food emerging from the mid-century kitchen to the social interactions -- none of Mrs. Goldberg's lady friends are on a first name basis. It's always Mrs. Friedman or Mrs. Kaplan. Hence, the calls out the tenement windows: Yoo hoo, Mrs. Goldberg. This is a long way to get to coffee crumb cake, but it's exactly this sort of thing that I suspect Mrs. Goldberg and her friends would serve to one another at their coffee klatches. After all, she's always asking her family or friends if they'd like a "snick snack." 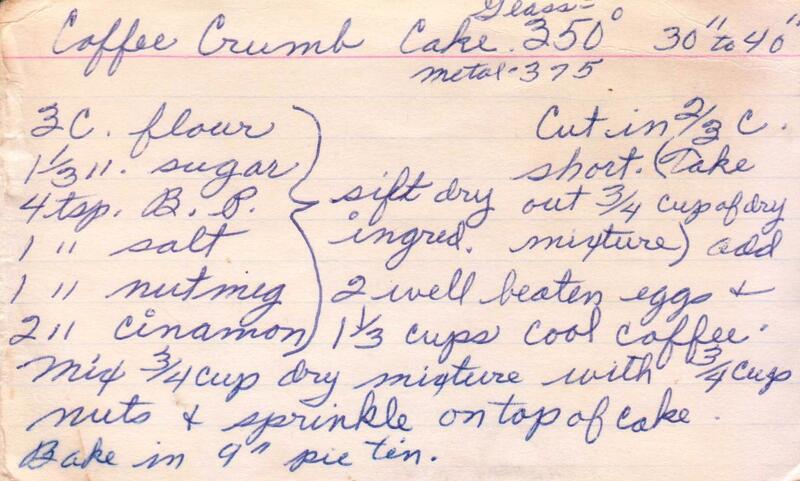 So many baked goods are rooted in a time and place: chocolate chip cookies for after school, layer cake at a birthday celebration, scones on Sunday morning. 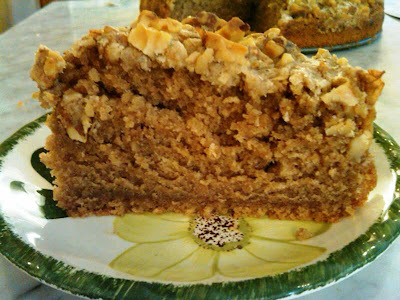 And coffee cake when the ladies gather mid-morning or mid-afternoon. 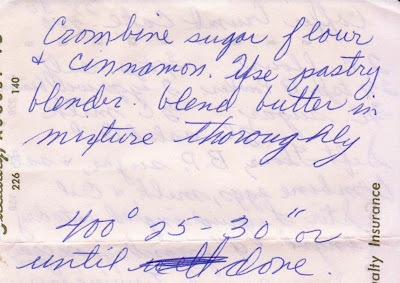 Each of my recipe collections has at least one recipe for coffee cake, I literally had my choice of dozens, but I picked two to start. 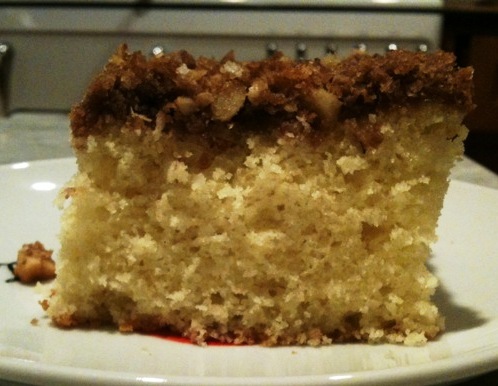 Coffee cake is a homey cake, often served right from the pan. It is forgiving, with its simple base and crumb topping, and it's one of the few baked goods where the home cook can truly improvise without fear, adding additional butter or nuts or sugar to the topping. 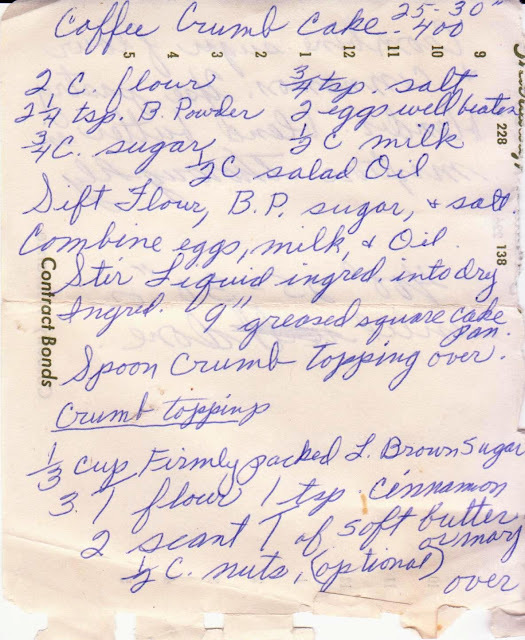 And note that the first recipe (slice pictured directly above) takes the name literally -- one of the ingredients is 1 1/3 cups of coffee! 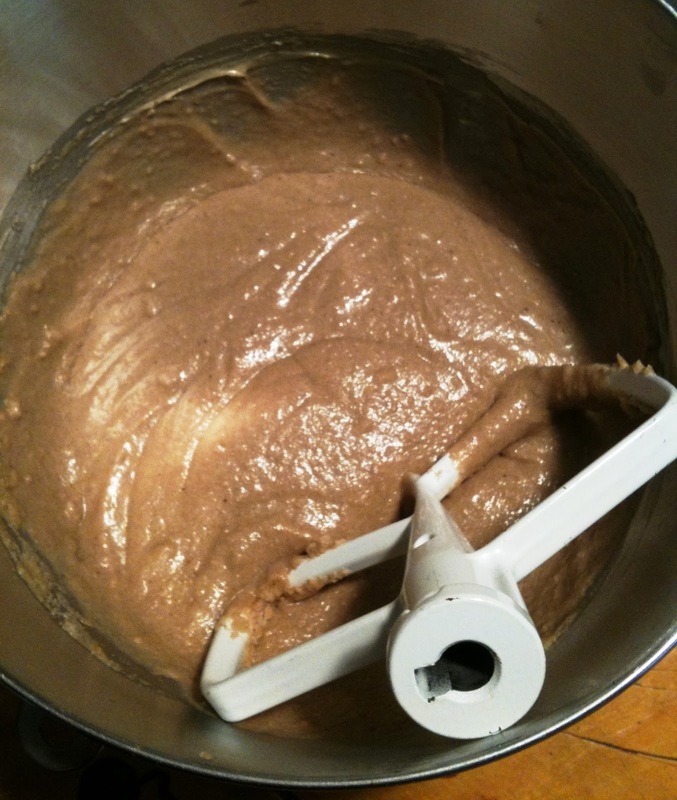 Mixing the batter for coffee cake #1. Using a pastry blender to cut the butter into the flour for cake #1. Stirring the liquid ingredients into the dry for cake #2. Finished product: Cake # 1. That show sounds so great! Is it on DVD? In an extremely odd coincidence, Mr. 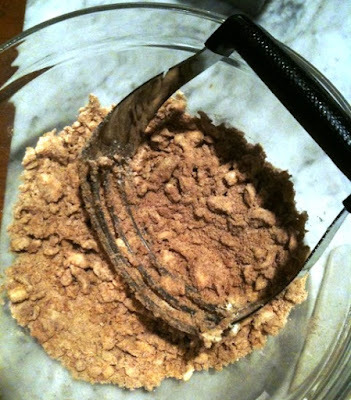 Wonderful got the urge to bake a coffee cake, crumb topping and all, at 10 pm last night. 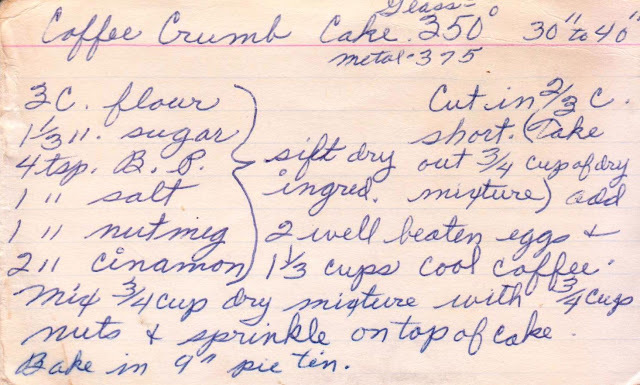 He used a recipe for sour cream cake from a Nina Simonds cookbook. @Margaret: Yes, a DVD was just released that has all 72 television episodes. You can google it. And regarding the extremely odd coincidence, I'm beginning to suspect that Mr. Wonderful has planted an "oven cam" in my kitchen! 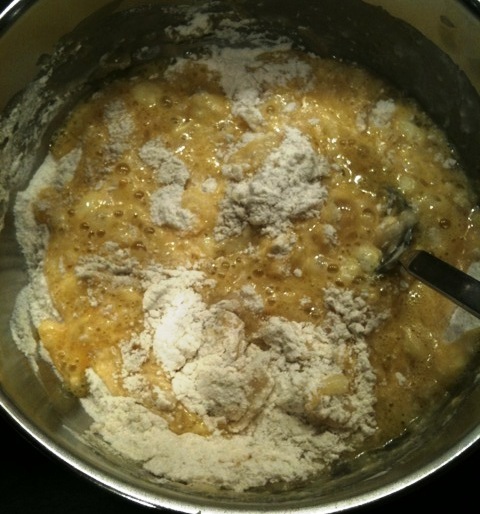 @Victoria: The one best received was the second one, surprising because it doesn't have any butter in the batter. 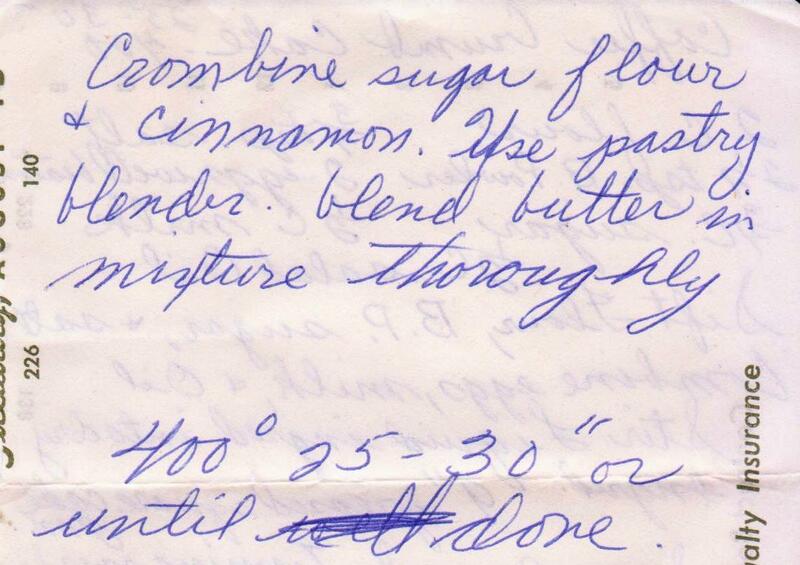 However, if I were to make something to share, I'd probably go with a more modern indulgent recipe with sour cream. But do let me know if you try one of these! The Goldbergs did not live in a tenement. They lived in a medium-sized apartment building (with an elevator) that they referred (as all did in those days) as a "house." You are correct! And I should have known better. I was thinking that the interactions with neighbors evoked the often false nostalgia of tenement life. I think many people, at least in NYC, even today refer to their apartments as a house. The Goldbergs did not live in a tenement. They lived in a medium-sized apartment building, which they (as everyone did) referred to as a "house."